Click Here for Summer Enrichment Camps Employment Opportunities. An updated physical and immunization forms are due at time of registration. Our Y summer camps provides kids with a variety of imaginative activities that make sure they have fun while making new friends, building self-confidence and discovering the world around them. Our carefully selected counselors work with campers on creating masterpieces during arts and crafts, explore science and technology, go on field trips, appreciate nature and discover the world around them. The YMCA is the premier camping organization in the world, with more than 125 years of experience providing safe, structured programming that reinforces traditional values. Our goal is to help youth grow in spirit, mind and body. Campers experience a fun, supportive atmosphere where they learn new skills, make friends, and most importantly, develop self-confidence. Our program has been designed with the health and safety of campers in mind. A full time health administrator is on duty at camp and a physician is on call each day. Our camps operate under American Camping Association guidelines.They also comply with the regulations of the Massachusetts Department of Public Health and are licensed by the local board of health or the Department of Early Education and Care. The key to our success is our experienced and enthusiastic staff. YMCA summer staff are carefully chosen from a variety of colleges and most are ents of education, social work or recreation students. In addition, we have highly specialized staff for each activity area to ensure that campers receive a quality learning experience. The YMCA believes in making our programs and services affordable for all. 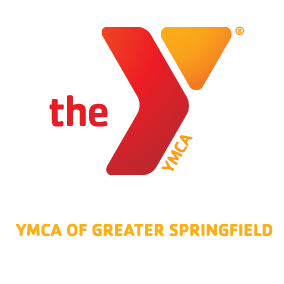 Funding is made possible through the generous contributions to our Annual Support Campaign by YMCA donors, members, and staff. Our childcare scholarships are for working parents or those attending school who have no one at home to care for their children. Special hardship situations will be taken into consideration. We believe the four core values of caring, honesty, respect and responsibility are essential for character development. Campers learn to define and demonstrate the four values in everything they say and do. Character Development goes beyond activities in Y programs, extending to the camper’s entire life.